Be a Place, Place an Image, Imagine a Poem is the most complete Ree Morton (Ossining, NY, 1936 – Chicago, 1977) retrospective to date. Morton's work is characterised by a strong reaction to Abstract Expressionism via Minimal art on the one hand, and Conceptual art and Pop art on the other. 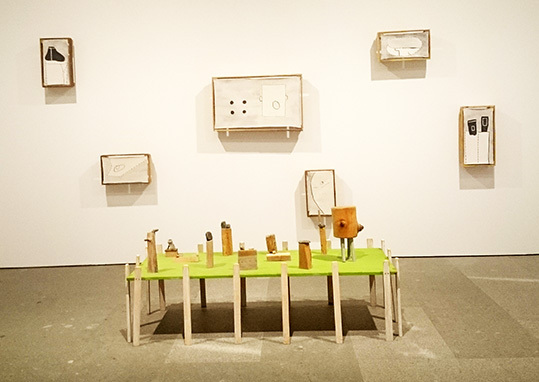 The exhibition is held at Museo Reina Sofia until 28 September. Ree Morton: Be a Place, Place an Image, Imagine a Poem from ArtworldNow on Vimeo.